The client had recently purchased two Teslas and has embraced the forthcoming electrical revolution, wanting to install 30kW solar system to take his cars off the grid as much as possible. The land has an enormous healthy eucalypt tree in the centre of the backyard and well-established gardens in the front. When designing the house, the tree acts as a focal point, particularly when floodlit at night. By designing the home as a large arc and taking advantage of the changes in level, the views of the eucalypt and beyond were enhanced from almost every room. 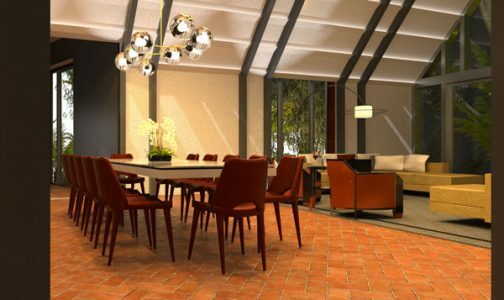 The home will incorporate 6 bedrooms, 6.5 bathrooms, a home theatre, gym, wine cellar, lift and butler’s pantry. To further embrace sustainability, windows will be double glazed, and rain water captured. Clad in contemporary natural stone, and incorporating a bespoke corten steel external spiral staircase, and aged timber, this home will blend seamlessly with its Australian bush surroundings. Outside, an in-ground pool, and roof terrace further connect the home with its environment, and enhance the luxurious interior. 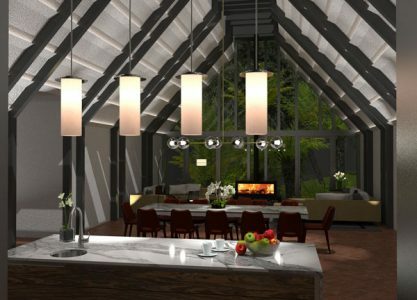 When CKA was engaged by the client to design their new home, it provided an unusual and exciting brief The client had recently purchased two Teslas and has embraced the forthcoming electrical revolution, wanting to install 30kW solar system to take his cars off the grid as much as possible. The land has an enormous healthy eucalypt tree in the centre of the backyard and well-established gardens in the front. When designing the house, the tree acts as a focal point, particularly when floodlit at night. 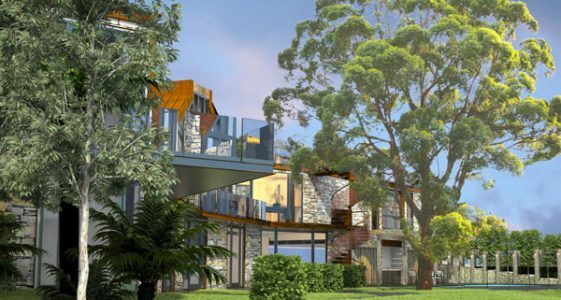 By designing the home as a large arc and taking advantage of the changes in level, the views of the eucalypt and beyond were enhanced from almost every room. The home will incorporate 6 bedrooms, 6.5 bathrooms, a home theatre, gym, wine cellar, lift and butler's pantry. To further embrace sustainability, windows will be double glazed, and rain water captured. Clad in contemporary natural stone, and incorporating a bespoke corten steel external spiral staircase, and aged timber, this home will blend seamlessly with its Australian bush surroundings. Outside, an in-ground pool, and roof terrace further connect the home with its environment, and enhance the luxurious interior.